Lotus Ware was made by the Knowles, Taylor & Knowles Company of East Liverpool, Ohio, from 1890 to 1900. 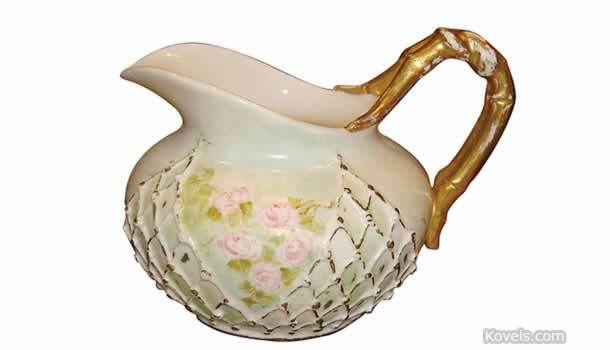 Lotus Ware, a thin porcelain that resembles Belleek, was sometimes decorated outside the factory. Joshua Poole, an Irish citizen brought to East Liverpool by Knowles, Taylor, & Knowles to make Belleek-like pieces for the company, and Isaac Knowles were the two creators of the Lotus Ware line. Other types of ceramics that were made by the Knowles, Taylor & Knowles Company are listed under KTK.